You can share your favorite Shaklee products with others and start to earn your products for free. To earn even deeper discounts on products by sharing with others and an additional income continue on below to learn about being a Shaklee Distributor to see if it is the right fit for you. You can become a Shaklee member for free right now with a program that works for you. This is a $19.95 value and is good for a LIFETIME membership. To see our selection of kits that qualify for a free membership stop in to our Shaklee store for details. If you are loving your products and have experienced your own Shaklee Effect health story and are looking for a way to earn cash for sharing, than our Shaklee Distributor program is a great opportunity for you and your family. When I got started with Shaklee as a member, I feel in love with the products right away. My first experience was with our safe, green and non-toxic Get Clean products for the home. I could see the difference they were having on my own health (no harsh chemical smells or exposure), they are good for the planet (keeping thousands of plastic bottles out of landfills), and saved me money. From there, I started to explore the nutritional products which have saved me from getting on a potentially dangerous pharmaceutical drug. When my daughter was born, my husband and I decided that starting a Shaklee business so that I can stay home with her was an great opportunity. My husband grew up with a Shaklee mom, who is to this day still growing her Shaklee business and an amazing role model. Since leaving my previous job, we have not looked back. Now we are in a position where my husband can leave his job to start his own adventure as well. We are now living a life by design instead of a life that felt like it was controlled by others and not our own. 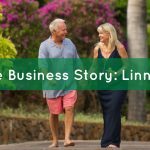 This is my Shaklee story, but many others have some similar or are looking for an additional retirement income, want support in paying off school loans, car or a home. Others join just to go on our free and luxurious trips. What will your Shaklee story be? To here other Shaklee stories be sure to stop by here.